Dubai has been crowned as the ‘Champion City’ of the district cooling sector globally, showcasing a cooling capacity of nearly 2 million refrigerator tons. The title was conferred on Dubai at the 8th edition of the International District Energy Association (IDEA) District Cooling Conference and Tradeshow 2018, which ended today in Dubai. In addition, Ahmad Bin Shafar, CEO of Empower was named 2018 IDEA Global leader. The conference was held for three days under the patronage of HH Sheikh Ahmed Bin Saeed Al Maktoum, Chairman of the Dubai Supreme Council of Energy and Chairman of Emirates Airlines Group. While the conference shed light on strategies for improving efficiency for district cooling, it also focused on the importance of cooling towers as well as highlighted the growing importance of district cooling in sustainable cities. In addition, the conference also brought to light energy budgets and operational efficiency through automation and machine learning in district cooling. “Dubai has been a forerunner with sustainable solutions and Empower has further accelerated the city’s position with its innovative district cooling solutions, helping the country to achieve its sustainability goals. The way the country is shaping its projects, integrating district cooling solutions, I am confident that the city is well placed to achieve the lowest carbon footprint in the world by 2050. 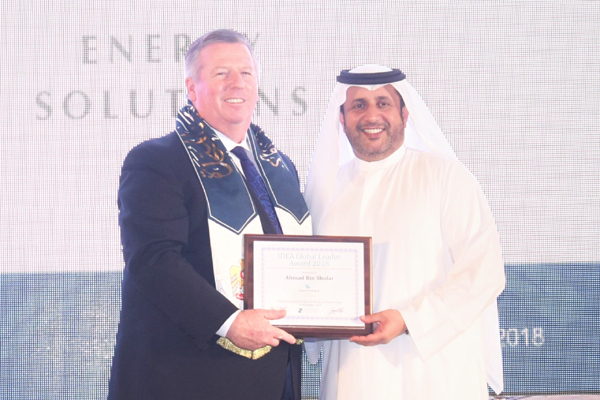 The 8th edition of this conference, has not only discussed efficient strategies to achieve sustainable urban growth, but has also positioned Dubai as the champion city for district cooling solutions,” said Rob Thornton, president and CEO, IDEA, said. The second day of the conference ended with a gala-dinner hosted by Empower, during which IDEA recognised the achievements of the Middle East’s district cooling industry in advancing efficient energy for smarter cities. A set of awards was presented to all the participating district cooling companies. District cooling is being implemented in many countries around the world. However, the UAE and Dubai, in particular, along with Empower – the world’s largest district cooling company have embraced new technologies as a part of its operations. While the day two of the conference focused on regulating the district cooling sector, it also discussed innovative solutions that would generate cost optimization as well as decrease carbon footprint. In addition, the conference also highlighted financing, where officials from several companies in the sector pointed out the importance of finding suitable financing that can drive the further growth of the sector. Apart from cost efficiency, the participants also highlighted several other benefits of the industry, including a reduction in electricity as well as water consumption by using treated water for district cooling and the reduction of loads on the network.